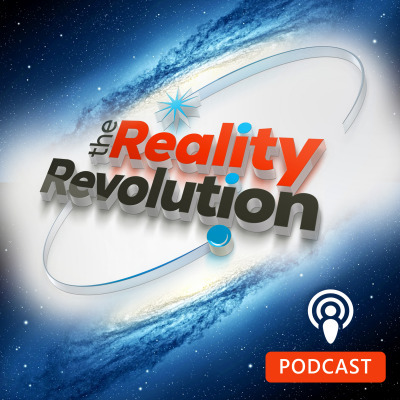 The Reality Revolution podcast is hosted by Brian Scott, a writer, entrepreneur, epiphany addict, inner space astronaut, life coach, transformation engineer, futurist, hypnotist, neurolinguistic programmer, meditation instructor, motivational speaker, researcher, intuition teacher, luck instructor and founder of the Advanced Success Institute. The Reality Revolution is born out of a fanatical vision quest to understand a near-death experience which was the culmination of a profound spiritual awakening in which Brian explores whether he has shifted into a parallel reality. The mission of the Reality Revolution podcast is to explore the new movement to hack reality exploring experiential quantum physics, reality transurfing, quantum jumping, meditation, hypnosis, qi-gong, sensory deprivation, virtual reality, mind tech, ayahuasca, psychedelics, channeling, manifestation, mindfulness, neurolinguistic programming, epigenetics, eft, energy psychology, yoga, ho’oponopono, luck coaching, Silva mind control, cybernetics, intuition training, biohacking, heart coherence, the Wim-Hof method, brain wave manipulation and advanced law of attraction techniques. This podcast is a first-hand account of Brian's journey and an exploration of this unique and growing movement combined with interviews of people in a variety of fields. It explores practical exercises, obscure techniques, and guided meditations you can use to harness the power of parallel realities, quantum entanglement and deliberate intention to achieve your dreams, find love, find money, find success, and discover true happiness and fulfillment. You will discover deep lessons on how to transform your life using guided quantum journeys, morning and evening routines, meditative techniques, energy work, and the science of deliberate intention. Join the Reality Revolution!